South Korea may not be the first location that springs to mind when your mind starts drifting to your next holiday destination and wondering if your travel insurance is still valid. However, those that have had the foresight to visit this amazing country, have fallen in love with it instantly. If you’re tempted to try somewhere new and unique for your next trip, here are five things to do during your stay in South Korea. If you are planning a trip between March and May, be sure to visit one of the Cherry Blossom Festivals. If you’re a fan of flowers and natural beauty then this is a must, but you’ll still be bowled over by the amazing site, even if you’re not a nature lover. 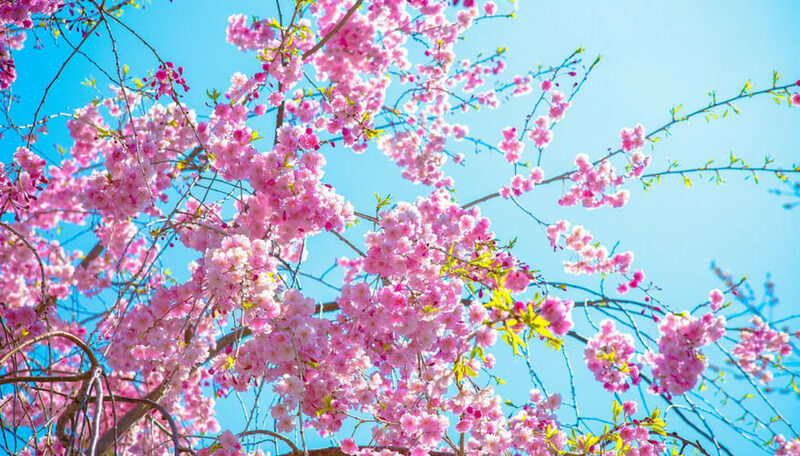 There are countless locations to see endless tunnels and hillsides of the most vibrant and stunning pink cherry blossoms stretching for miles upon miles all across the nation. If you are serious about this festival then be sure to head on over to Gyonghwa Station, Seoul, known as ‘Cherry Blossom Road’ due to the spectacular display of pink cherry blossom canopies either side of the railway tracks. Watching trains barrel their way down the railway lines surrounded by this amazing blossom is truly a unique and special sight. While there, why not experience it from inside the train and hop on and go exploring? 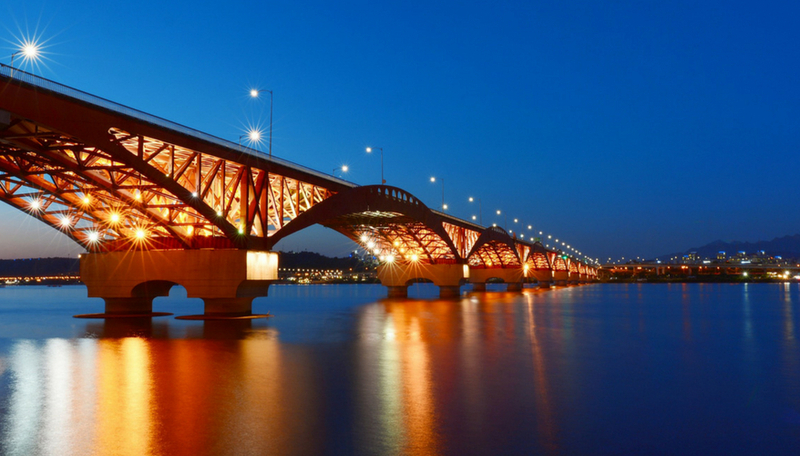 If your trip to South Korea happens to fall in October, head for the town of Jinju. A beautiful location at the best of times, but in October, you are in for an extra treat. As dusk falls, the tranquil Namgan River is transformed into a shimmering sea of light by thousands upon thousands of lanterns. It’s an amazing sight to behold, made more special when you learn the story behind the lanterns being released. 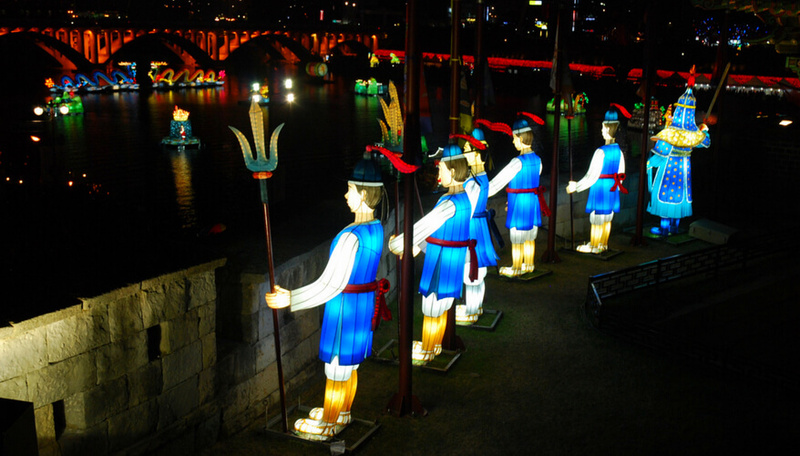 The Jinju Lantern Festival commemorates the lives of 70,000 men and women who died fighting in the Imjin War. As sombre as this is, the festival transforms the riverbanks into a procession of amusements, market stalls, food and drinks stalls, complete with live music and dancing that goes on until the early hours of the next morning. For those of you who like to seriously party, the Boryeong mud festival is the ultimate party in South Korea, although it’s best that you leave your favourite clothes safely at home. Held on the beach each July, here party-goers can enjoy food, drink, live entertainment, a vibrant atmosphere, and copious amounts of reputedly cleansing and therapeutic mud. People from all countries, and all walks of life, frolic in the mud as party ‘til dawn. 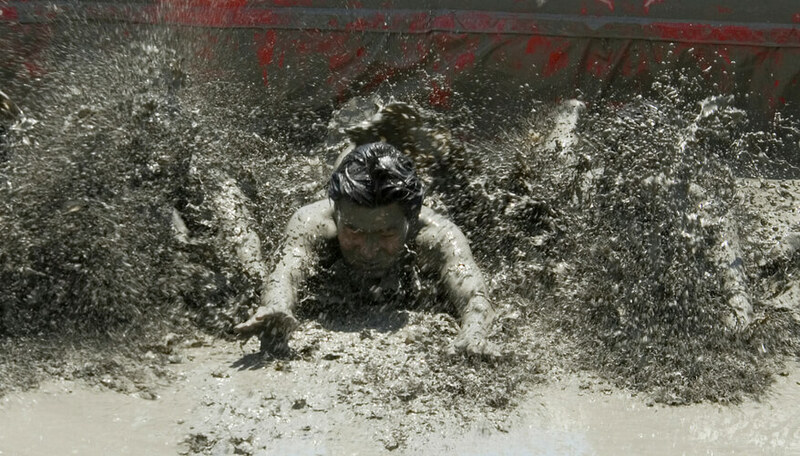 It’s an experience for those with a passion to party, with a whole load of mud thrown in for good measure. South Korea’s national sport is none other than baseball. There is a Korean Baseball Organization team, or KBO for short, in virtually every major city in the country. Baseball is highly popular and makes for a fantastic day out for sports fans looking to experience a live game in this unique country. Factor in some delicious Korean fast food, a cold beer, and a lively crowd, for a great day out, whether you are a baseball fan, or a novice to the game. No holiday would be complete without a visit to the capital city, and visiting Seoul is well worth the trip. It is the largest city in the country and a hive of activity, natural beauty and hospitality and is one of the hidden gems of Asia. A majestic blend of old and new, this dynamic city combines cutting edge design and technology, fashion, and deeply rooted traditional culture, palaces, temples and breath taking mountains. There is something for everybody in Seoul and you can find accommodation to suit all budgets from luxury, to quaint, quirky, and traditional options as well. Tempted to try something new instead of the same old sun lounger in a Mediterranean hot spot? Wherever you go, don’t forget to obtain travel insurance, and read up on the latest travel advice tips from FCO.